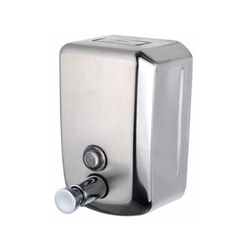 Ours is a trustworthy name in the market to involve in the manufacture and supply of SS Manual Soap Dispenser that are handed over within the committed time frame. Owing to the attractive and compact design, these manually operated dispensers are vastly demanded among our patrons. Due to high corrosion resistance, these are widely demanded. • Suitable for dispensing shower gel, shampoo, washing lotion etc. Backed by a team of skilled and qualified professionals, we are engaged in manufacturing and supplying a wide assemblage of Automatic Soap Dispenser. 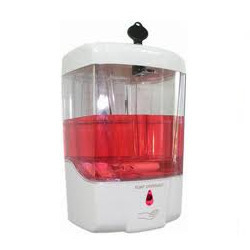 Vastly used for body lotions, hair shampoos, dish cleaners and soaps, these wall mounting automatic dispensers extremely popular among our patrons. The range is offered at market leading prices for our precious patrons. Looking for Liquid Soap Dispensers ?